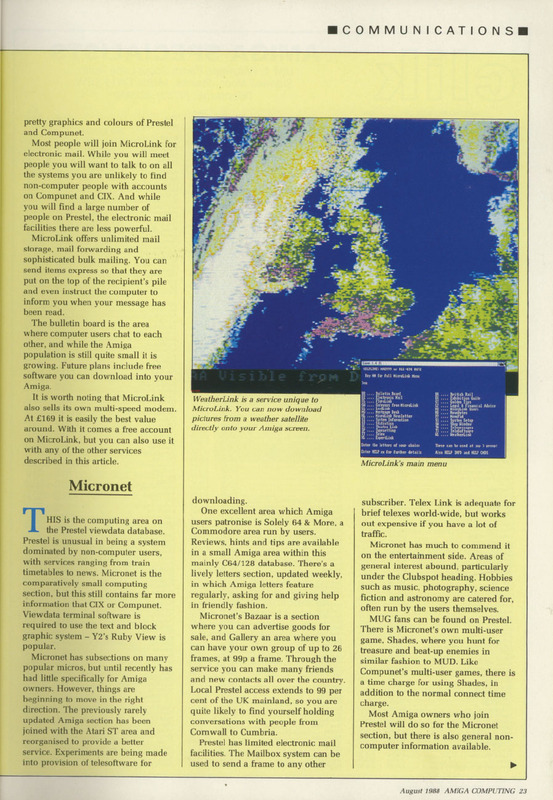 Most of the articles on here are from my time working as a freelance writer for Amiga User International magazine. 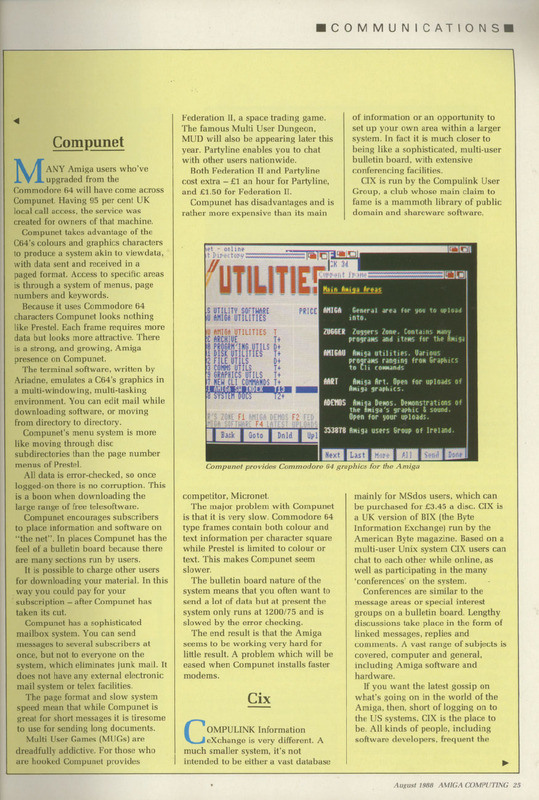 I did write for other magazines, mainly Atari ST User and Micro Computer Mart, but I did pen at least one article for a rival of AUI, Amiga Computing. 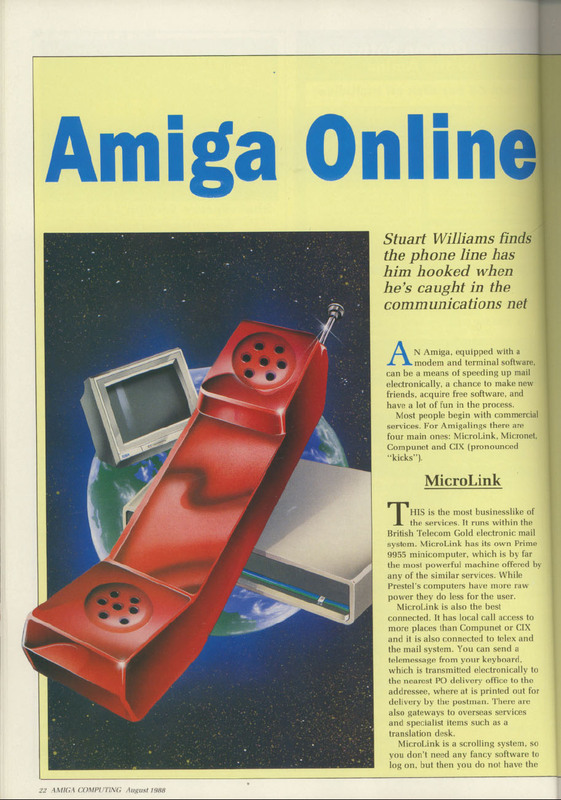 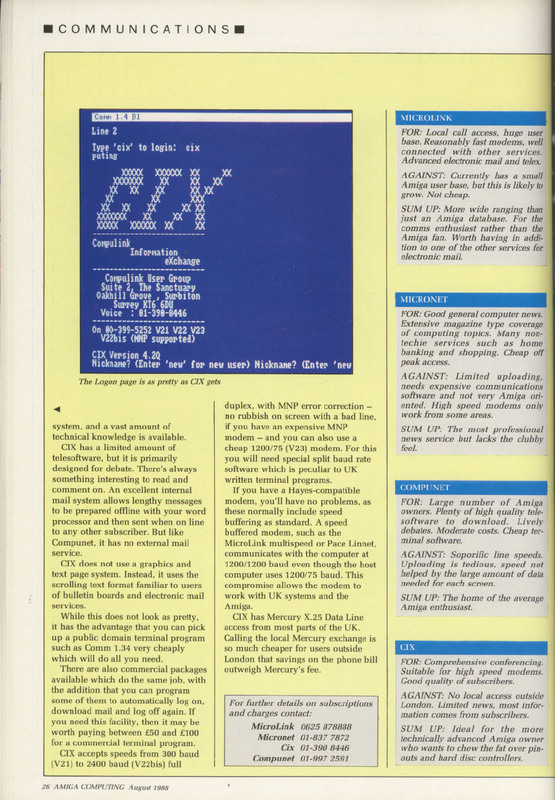 This is that article, a four-page communications special entitled ‘Amiga Online’.